Compare costs from local, trusted companies. If you're in Wales and you need any soffit or fascia work carried out, look no further... from repairs to new installations, replacement and even cleaning this is the place to save money. In fact, we help organise free quotes to others just like you every single day, and our service is 24/7. Our aim is to provide everyone with the very best prices for all fascia and soffit work without the need to compromise on the quality of work. It only takes a few seconds of your time to get started. Simply complete our online quote application form and wait for your free quotes. 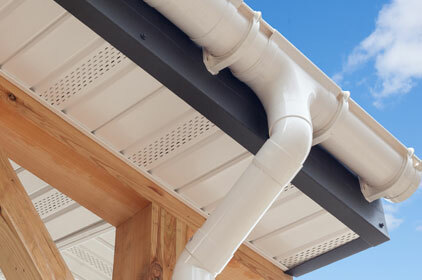 The fascia is the vertical board that runs along the bottom edge of your roof and performs the vital role of carrying the guttering as well as supporting the end row of tiles. It's fixed to your trusses. They are available in several materials such as wood, metal and uPVC not to mention a variety of colours and even styles. Thankfully, we can arrange quotes for all fascia installation work. Your soffits are the horizontal boards that are most visible from the ground. 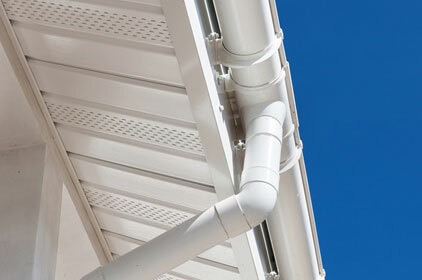 They are frequently grooved in design, and often contain vents to prevent condensation in your roof. Soffits are typically replaced and repaired alongside fascias, and come in numerous materials such as uPVC, wood and metal. We can organise free quotes for all materials and colours. 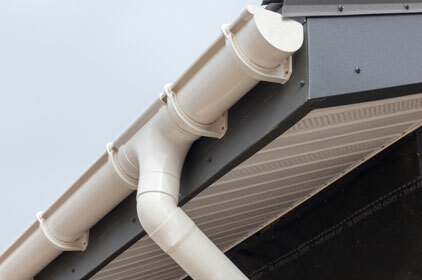 Falling branches, broken guttering and incorrect installation are just a few of the reasons why your fascias, soffits, bargeboards or boxends might be in need of repair work. If you've noticed any damage or abnormalities then you'll be pleased to know they most likely can be repaired, or a section replaced if necessary without costing too much money. Getting your free quotes so that you can compare them, and ultimately save money is a super-simple process. All you have to do it complete the short form you can see on this page with some basic job details and some contact information. Your work requirements are instantly passed to a network of trusted, rated and reviewed fascia and soffit companies who are keen to provide you with a cheap quote. Any quotes received are obligation-free and risk-free, and you could save a lot of time and money.